I’ve seen so many people spend SO much money to suffer through dressage lessons. It does NOT have to be that way. Dressage does not have to be a long-suffering process where success is only achieved after mastering the elusive perfect half halt at Grand Prix. You can be successful at achieving the object of dressage sooner than you think. Everybody can benefit from learning the basics of Dressage. It requires dedication and it's not always easy, but it's worth it. The basics of dressage are for the horse and for all horses regardless of discipline, breed, or their inherent ‘fanciness’. Dressage teaches us how to build the skills required so our horses can carry us in a healthy way, reducing the brace and strain on their bodies. If we’re going to ride them, we owe it to them to help them be comfortable. Healthy movement will extend a horse's active life and create less pain and more ease every day. 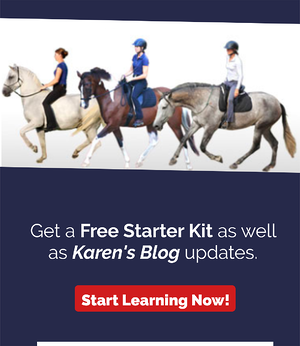 Below are 5 Keys to help make learning dressage a little more fun and successful. 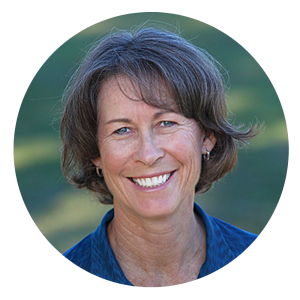 They will help all riders to be able to access the knowledge and skills found inside dressage, and will help dressage riders to adopt more of a whole-horse philosophy in their training. Why do YOU want to do dressage? What’s YOUR dream? What part of it are you attracted to? Is it the harmony, power, freedom, trust, precision, or lightness? But dig even deeper… really why? I hope the real reason is because you love horses. Riders need to understand their horses feel energy very strongly. Horses know when we are focused only on what we want to ‘get from them’, and they go into defensiveness (which works against the beautiful posture we seek in dressage). Be in LOVE with your horse before you even walk out of the house to go see him. This is supposed to be the fun part. If we can’t love it, how can they? I love this beautiful description and I strive to attain it with all my horses and students. Interestingly, I have had professional dressage trainers ask me where I got that quote. Believe it or not, it’s from the FEI dressage rule book, rule 401. Perhaps that is part of the reason why so many students are struggling. Their trainers don't know what the Object Of Dressage is (or at least it's not in the front of their minds)! Most of the adjectives in Article 401 describe mental/emotional states. Only 3 words speak solely to the physical (loose, supple, flexible). It makes sense that we need to be skilled in mental/emotional development as well as physical. Notice: You don't have to learn one-tempi changes in order to achieve the object of dressage. The quote above describes a process, not a destination. It is possible to achieve this object at the lowest of levels. You don't have to wait until after the perfect half halt at Grand Prix to consider yourself successful at doing dressage. Rather than only looking at the list of movements that you need to do in each level of dressage, first gather the qualities listed in the Object Of Dressage. Harmonious education, Athleticism, Calmness, Looseness, Suppleness, Flexibility, Confidence, Attentiveness, Keenness, Understanding. Learn strategies for developing keenness and attentiveness with as much dedication as you do for developing suppleness. What really is harmonious education? How is it different from submissive obligingness? Think about that. Ask yourself which of those your training method is closer to. The way we create flexibility needs to be the way we build confidence. The way we build attentiveness has to be the way we create athleticism. Often programs that are focused on physical development do so at the expense of the horse's (and student's) mental well-being. I have also seen programs that are focused on mental/emotional connection with the horse undervalue the necessity for the physical state of the horse. Taking care of the physical isn't just about more massages, chiropractic adjustments or sports medicine, it's about improving the movement dynamic. A great place to start integrating the mental, emotional, and physical is to prioritize clear communication with your horse as more important than the 'look'. Students and horses get confused when they are told: 'Good!' even when it feels terrible. This actively creates frustration in the horse and rider and works against achieving the qualities in the Object Of Dressage. Riders can easily self-assess if they are in good communication with their horses, and solving this solves many of the reasons for lack of success in dressage. A lot of students tell me they don’t feel like they fit in at their barn and (or) they are always afraid of doing things ‘wrong’ for fear of being criticized. You don't have to accept that as your fate. These days there are more options. Use the internet to find the conversations and support you crave. Stay away from negative people, but don't isolate yourself. It’s important to have someone you can talk to. Find people who ‘get’ what you are trying to achieve and who understand your priorities and principles. Stay around people who are open and nonjudgmental, and who make it easy for you to play and experiment and LOVE the process of learning dressage.